Join Lightning 100 for an old school game, with a new school twist! 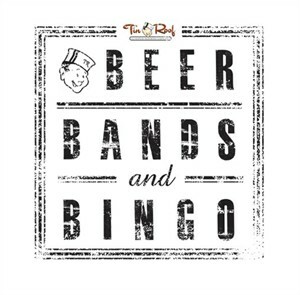 It's Beer, Bands, and Bingo at Two Bits every Tuesday. Come out and play bingo for your chance to win sweet prizes and enjoy the awesome drink specials! Whenever you arrive, pickup your bingo card at the DJ booth for you chance to win prizes after each game. Parking: Street parking and paid lots are available. The nearest Nashville B-cycle is at Music Row Roundabout. Two Bits is a celebration of all things hanging out! Delicious food & drinks, free games & great music shared with friends both old & new! An ever evolving menu crafted by our culinary team to match the creative & playful atmosphere of Two Bits! 24 taps featuring a host of local drafts & a creative, but accessible cocktail menu! Check out our extremely popular weekend brunch on Saturdays & Sundays from 11 AM-4 PM! We love to eat & drink with friends and we love it even more when paired with some totally fun games that are all free to play! More of a singer than a gamer? Or both?! Check out our self-serve karaoke in the back room!